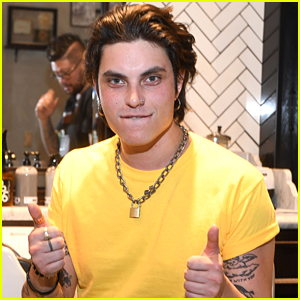 After’s Samuel Larsen Gets A Fresh Hair Cut in Las Vegas | Samuel Larsen | Just Jared Jr.
Samuel Larsen is looking good after a fresh hair cut while attending the grand opening of The Barbershop Cuts & Cocktails in Las Vegas last week. The 27-year-old actor, who will be playing Zed on the big screen in After, stopped by the event for a trim and shave before hitting the red carpet at the event. Inside the event, Samuel and many others enjoyed an exclusive performance by rock band BUSH. Just a few days after, Samuel was spotted at the Just Drew NYC pop-up party held at Fred Segal in Los Angeles. If you missed it, check out the latest trailer from After on JJJ now!